NEED AN AIRPORT TRANSFER to or From Chester? Chester Taxi Services offer Chester airport transfers to and from Chester. Our main airport transfers are from Liverpool and Manchester Airport but we are happy to transfer from or to other airports. We have many fixed price destination for airport transfers from Chester. You can find them on the right hand side of most of our website pages and you can book a taxi online to your chosen destination. We have both taxi cabs and minibus taxis available for booking. Pickups locations at Manchester Airport (drop off location is exactly the same as the pickup location). The distance from Chester to Manchester Airport is a distance of 32.7 miles (37min) via the M56. We do monitor traffic to avoid any disruptions where possible. Pickup location at Liverpool Airport (drop off location is exactly the same as the pickup location). The open car park by the yellow submarine. Journey time to Liverpool airport from Chester depending on the time of day, averaging 40min (24.1 mi). Typically we use the M56 however we do monitor traffic and try and avoid any accidents that may have occurred. Our meet and greet system for airport transfers Chester will ensure that the driver will be waiting for you once you enter the arrivals terminal. Your driver will have a name board with your name on it or we will contact you to let you know that we are waiting and arrange a pick up point. All the drivers are polite, presentable, and professional at all times. 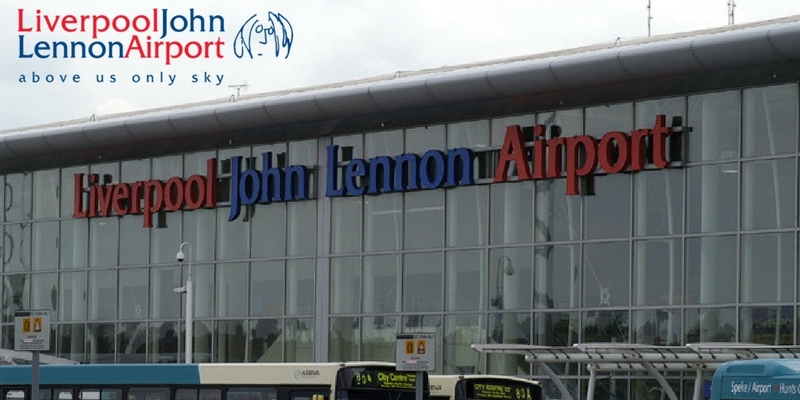 There is an additional cost of £7 for Manchester and Liverpool Airports (other Airports may vary). Should you not require a meet and greet service, our drivers will call or text you shortly after your flight lands, if you don’t hear from the driver please call us on 01244 421024. Once you are ready to be picked up please contact the driver as parking outside the terminals are very restricted. As part of our airport transfers, we will check each flight arrival time so that you do not carry the extra waiting time expense. Making your taxi transfers easier and cheaper. The Driver will then offer to carry your luggage to the car park and will then lead the way to your hired vehicle. If we can help in any other way please just ask our taxi drivers or call us to advise us on your needs. If you require a wheelchair friendly taxi please specify the wheelchair dimensions when booking a minibus taxi with us. Time is of the essence with our taxi service. Punctuality is the mantra for which drives CCS to deliver around the clock - always on time. We work hard to maintain a reliable taxi and chauffeur service for airport transfers Chester. Through the use of our cars, drivers and good planning, reliability is never compromised. Trust us for all your airport transfers to and from Chester and we won't let you down! Children do not need to use a car seat / booster when travelling in a licenced taxi or minicab and for this reason we do not carry car seats for children. However you are more then welcome to bring your own car seat or booster seat and we will store this in our offices ready for your return journey.